Thank you to those who were able to sign up to make blocks for the Pulse Charity quilts. Those blocks are due by the July 2016 guild meeting date (July 21st). We will need volunteers for the following to complete two quilts. The final size of each quilt will be about 50 x 60″. Spot Filled! 1 Quilt Top: ONE volunteer needed to assemble heart blocks into one quilt top. 2 Quilt Backs: TWO One spot filled! We now need ONE volunteer to assemble the back of the other quilt. Both Spots Filled! 2 Quilts to Quilt: TWO volunteers needed to quilt the quilts. The guild will provide the batting. The quilting does not have to be fancy or complex! Please email njmqginfo@gmail.com if you can help. This post will be updated as spots get filled. The blocks/materials will be handed out at the July guild meeting. 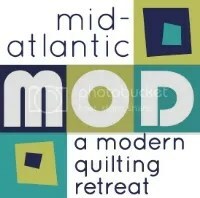 We would like the quilted quilts (without binding or labels) due back by the August meeting date (August 18th). If you would like to participate, but will not be at the July or August guild meetings, please specify that in your email and we will figure out logistics. ← June 2016 Meeting Recap! I made 4 extra blocks so you would be sure to have enough just in case someone can’t make the meeting deadline. I figure they can be used in the backings or as labels. Diane: Thank you so much! Can you let me know what the colors are? Hi Margy, I will mark you down as quilting one quilt. Thank you SO much! !